Donald Stephenson in for a power run. Jamaal punches it in for the TD, dives into the crowd. Chiefs tie up at 7. Mike McGlynn & some of the #Rams DL having some words before that run, then a rushing TD for the good guys. 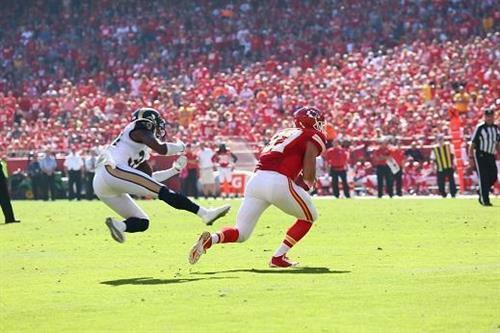 Cairo Santos performs another miracle by hitting an extra point. TD drive was also setup by the illegal contact penalty (cheating) on 3rd down by #Rams CB EJ Gaines. Alex has completed 9 of 10 pass attempts so far today. Four different #Rams players have a carry so far today. Zac Stacy, Benny Cunningham, Tre Mason, Tavon Austin. 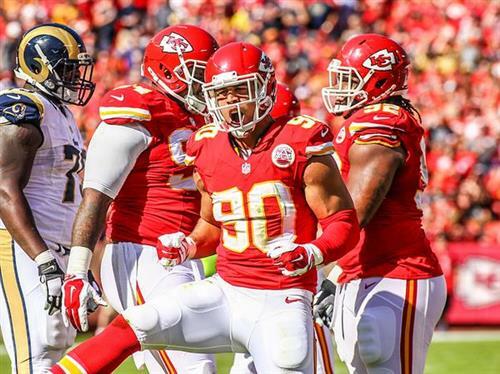 #Chiefs have 9 rushes for 14 yards. 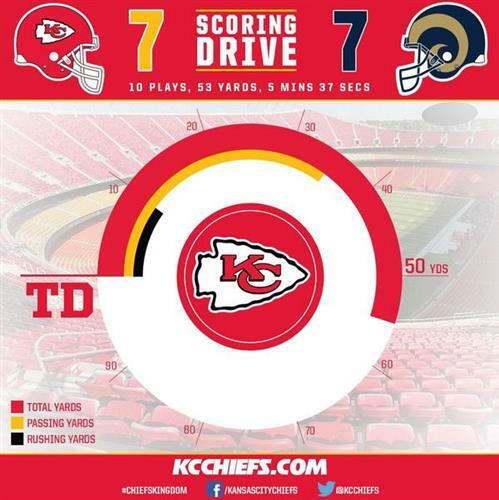 Alex Smith is 9 of 10 for 66 yards. Josh Mauga is a find. Rams going for it. DAT was lined up as the punt returner. So he was playing safety. Chiefs called timeout. 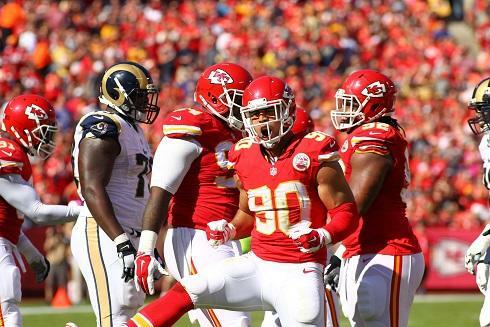 Rams end up punting after Chiefs timeout. KC getting it back on the 20. 8 minutes left in second. Chiefs get ball in 2nd half. Long drive ..
Oh no. 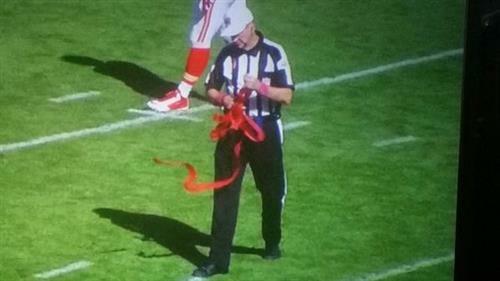 Chiefs just fumbled. Rams recover at the 8. Jamaal Charles never had that ball. St. Louis d-line is just dominating. Holding STL to a field goal would be huge. Chiefs sack Austin Davis on 3rd down. Ron Parker, who already has a pick, credited w/ the sack. Rams kicking FG. SACK!!! RON PARKER IS ALL OVER THE PLACE. Missed it! Chiefs get it back. #Rams field goal attempt is NO GOOD. Santos misses the field goal for the Rams. Game still tied. WR Brian Quick and OL Roger Saffold are both questionable to return for the #Rams . Rams had a first and goal from the 8-yard line. Got no points. Chiefs need to take this lead back. 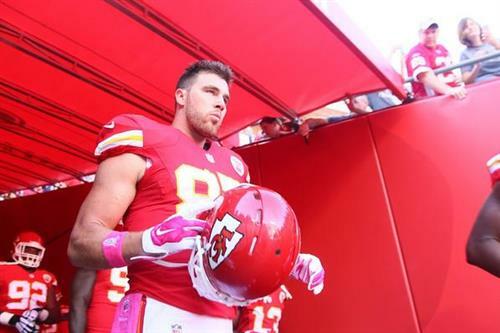 Kelce. Again. He loves moving the chains. Dream shake, yes. Yes RT @TerezPaylor Kelce gave the dream shake to McDonald again. Alex Smith has to be one of the toughest quarterbacks in Chiefs history. Seems to get hit on every other throw. Like this. RT @ArrowheadPride : Dream shake, yes. Yes RT @TerezPaylor Kelce gave the dream shake to McDonald again. If you were concerned about DAT being able to take a hit ... well, there you go. That scared me. 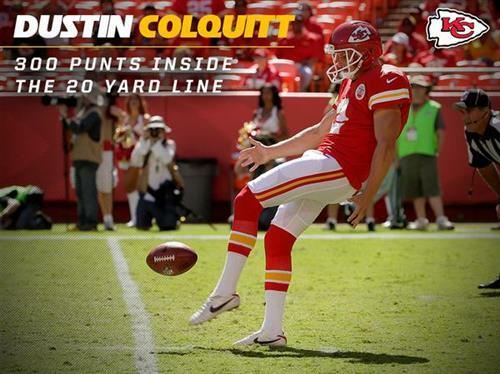 Dustin Colquitt has two punts inside the 20 today which puts him at 300 for his career.